As I have noted regularly over the last number of years on this site and elsewhere, Ireland has not done enough to remember the impact of the American Civil War on people from the island. Recent months have however seen an increasing effort in this regard, with a number of events taking place which suggest that further recognition and study of this impact in Ireland may be in the offing. One of the most significant of these took place at the Department of Foreign Affairs in Iveagh House, Dublin on Tuesday 9th June last. 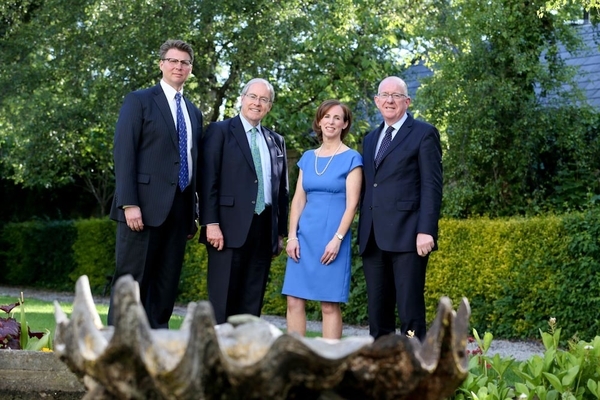 Since 2012 the Department have held a series of commemorative lectures recalling significant events in Irish history, delivered by noted speakers. 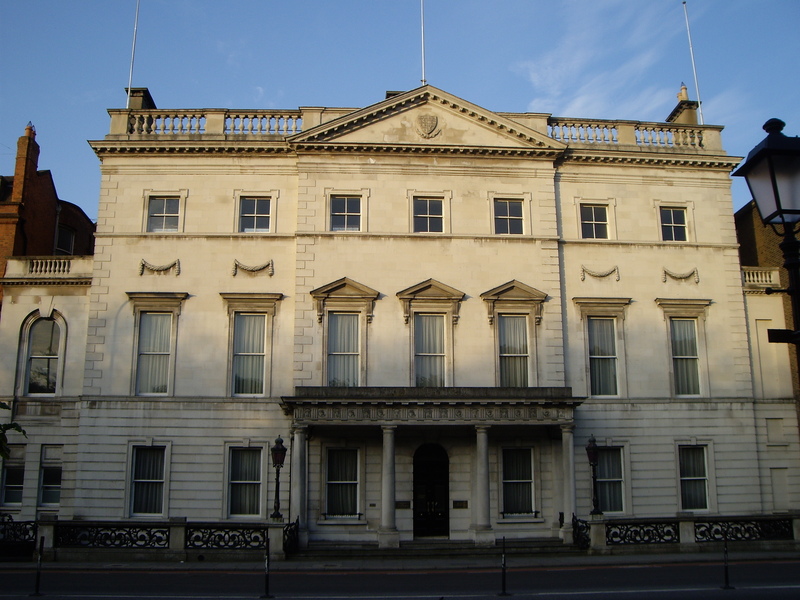 They have covered topics such as Irish Unionism, Ireland and America, the Downing Street Declaration and the Christmas Truce of 1914, with lecturers including UN Secretary-General Ban Ki-moon, Northern Ireland First Minister Peter Robinson, Governor of Maryland Martin O’Malley, former UK Prime Minister John Major, Congressman John Lewis, former President of Ireland Mary McAleese and Governor of the Bank of England Mark Carney (for a full list of the topics and speakers see here). 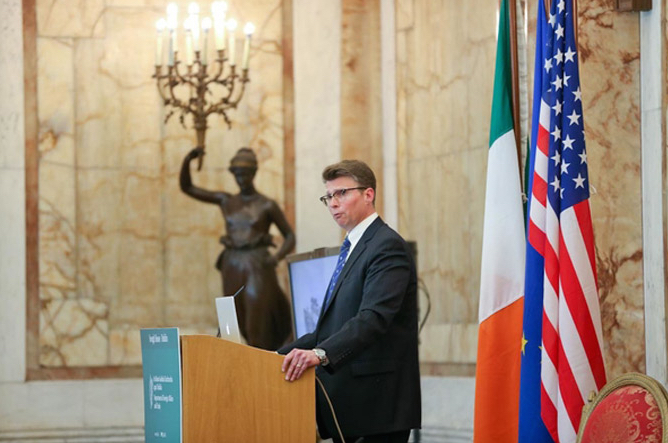 The June lecture was delivered by Professor Patrick Griffin, Madden-Hennebry Professor and Chair of of the Department of History at the University of Notre Dame– his topic was Ireland, the Irish and Civil War America. The decision of the Department of Foreign Affairs to recognise the Irish of the Civil War in this fashion was most welcome. 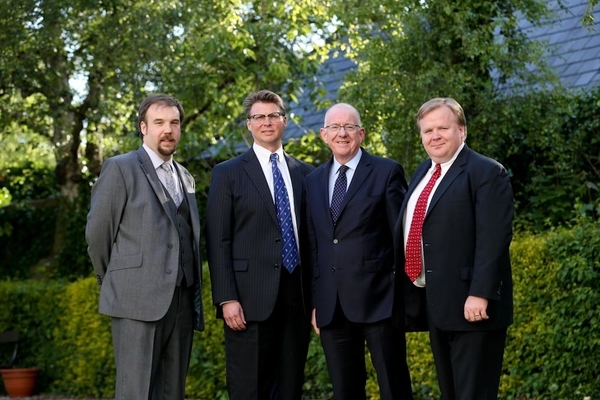 In attendance at the event were Irish Minister for Foreign Affairs Charlie Flanagan T.D., U.S. Ambassador to Ireland Kevin O’Malley and the Papal Nuncio, among others. Minister Flanagan began the evening with some very appropriate opening remarks, which you can read here. Professor Griffin then delivered an excellent lecture on the topic of the Irish and the Civil War; I was privileged to act as one of the official respondents to it, together with Dr. David Gleeson, Professor of American History at the the University of Northumbria. You can read a bit more about the event here and the notes on which I based my response are reproduced in full below. Thanks are due to everyone in the Department of Foreign Affairs for making this event a reality, marking as it does an important step on the road for greater recognition of this important facet of Irish and Irish-American history. Minister Flanagan, Ambassador O’Malley, ladies and gentlemen. It is a great honour and privilege for me to have an opportunity to address you as part of this memorial evening. I would also like to congratulate Professor Griffin on what was an excellent lecture. Among the topics he touched upon was the impact of the Famine on emigration to America; it is worth us remembering that for many of our country people, the cataclysm of war that erupted in 1861 was the second great trauma of their lives– all too many had already experienced loss and tragedy during the years of the potato blight. One example of this is the story of one woman I have recently been exploring–Mary Madigan, from Causeway, Co. Kerry. Mary was married in the 1830s, but would lose her husband to dropsy during the Famine, in ‘Black ’47.’ She and her three children subsequently emigrated, becoming part of Ireland’s lost Famine generation. But Mary’s story did not end with her departure from Ireland. Initially settling in New York, she would later remarry and move to Columbus. Unfortunately Mary fell victim to domestic violence; eventually her now grown son facilitated Mary’s escape from her husband and she returned to New York to live with him. In 1861 that son took to the battlefield in the ranks of the 69th New York State Militia, where he was killed at the Battle of Bull Run. Professor Griffin spoke to us of the Fenians, of connections between Ireland and America, and of the interest Irish-Americans continued to take in their native land. This of course, stretched far beyond support for revolution in Ireland; the 19th century saw millions of dollars remitted to struggling relatives across the Atlantic. Although unremembered today, huge numbers of serving Union soldiers gave thousands of dollars in aid money to Ireland in early 1863, responding to a call to help stave of further Famine in Ireland. Many, like Michael Cuddy and James Cullen of the 42nd New York, gave multiple weeks wages to this fund. Many of these men also gave their lives for the Union– within weeks of their donation both Michael and James were dead, killed in action at Gettysburg. Professor Griffin brought us through some of the bloodiest encounters experienced during the conflict. Although research has never taken place to establish precise figures, it is likely between 25 and 35,000 Irish-born died in the war. The conflict impacted Irish people everywhere, both in America and in Ireland. A 19th century visitor to Minister Flanagan’s hometown of Mountmellick may well have encountered the Sextoness of Mountmellick Church, Mary Kennedy. Every month Mary left her home in what is now Pearse Square to travel to the town’s post office, and receive her U.S. Government pension of $8 per month. Mary received this money because her son John, a First Sergeant in the 146th New York Infantry, had died a Prisoner of War in Georgia having been captured at the Battle of the Wilderness during the American Civil War. Similarly, Ambassador O’Malley’s grandparents in Westport, Co. Mayo, may well have been acquainted with the son of Mary McHale, who worked as a lawyer’s clerk in the town. Mary’s other son, Matthew, had taken a path that will sound familiar to the Ambassador­­– he emigrated to St. Louis, Missouri, where he ultimately enlisted in the 6th Missouri Infantry. Some years later, word was brought to his mother in Mayo that her boy had given his life during one of the great engagements of the war, at Vicksburg, Mississippi. Professor Griffin spoke of the long history of Ireland and America being conjoined. There is surely no greater example of this than the American Civil War. 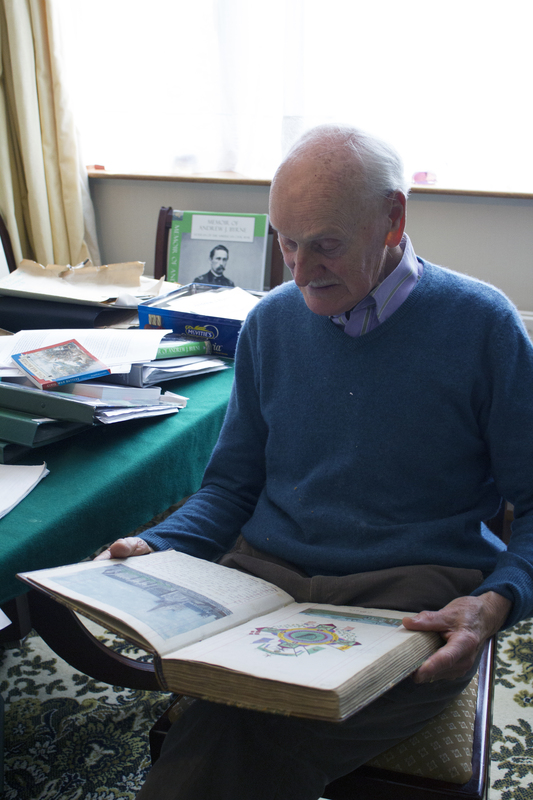 The latest estimates suggest that at least 200,000 Irish-born men fought in the conflict. This is to say nothing of American-born members of the Irish community. The first soldier to die in 1861 was Daniel Hough, a former farmer from Co. Tipperary. The last Union General to die in 1865 was also a former farmer, Thomas Smyth of Ballyhooly, Co. Cork. Statistics abound. One in every five Union sailors in the American Civil War was from Ireland. 18 Irishmen became Generals for either North or South–more than any other foreign country. At least 146 Medals of Honor were awarded to Irish born men– more than any other foreign country. This is a conflict that deserves to get more attention in Ireland, purely because of its significance to our nation’s people. World War One is the only conflict in our history to have seen comparable numbers of Irishmen in service. Indeed, there is a strong possibility that more men from what is now the Republic of Ireland fought and died in the Civil War than in any other that Irish people have ever been involved in. For those counties worst affected by Famine emigration, the American Civil War is far and away the most significant in terms of scale that they have ever faced. Nor is it an event of the far distant past- the last Irish man to claim a pension for American Civil War service was Limerick’s Jeremiah O’Brien, who was still alive in 1950. Indeed a number of grandchildren of American Civil War veterans can still be found in Ireland today. Tonight’s remembrance event is an occasion of great significance. 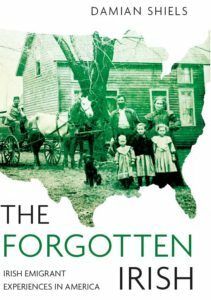 For too long the story of tens of thousands of Irish people caught up in the great American struggle of 1861 to 1865 has been left in the shadows. I earnestly hope we are now experiencing the beginnings of an increasing focus on this remarkable connection between the United States and Ireland, one that continues to bind us to this day. Well Damian, every word of this is perfect — perfectly illustrative of your mission, and perfectly impactful of why we all must follow your lead to facilitate research in primary sources to tell this story of great importance to so many families on both sides of the pond. The families you chose to highlight are excellent, and I particularly like the connection you made to Mr. O’Malley. Congratulations on this ultra-important invitation, and may the importance of your work open up more and and more eyes every day! Thanks 🙂 More and more people are beginning to realise the significance of this conflict for Irish people I think. Still lots to explore, but initiatives like this do help to shine more attention on the period, so hopefully lots more people will begin work in the area! Excellent initiative by the Department of Foreign Affairs – but built on the work of people like yourself, Damian! Thanks Tony! It is great to see- hopefully the first of many. I’m flying to Shannon this Wednesday, 15 July and will be in Cork and Galway until 30 July. Looking forward to this visit to “home”. I saw the excavations going on there- I am looking forward to seeing the Cotton Gin the next time I am there! Hope the trip has been a success so far!